I have been a bottomless pit today! 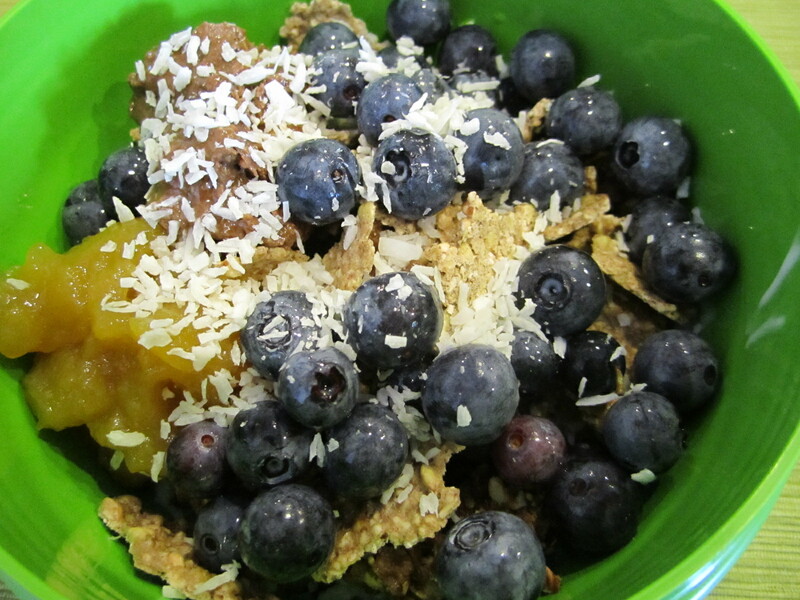 I wanted snack after snack after snack…maybe I was lacking some protein in my meals? Kind of weird considering I took another rest day today from my workouts (maybe next week I will finally get back on track!). 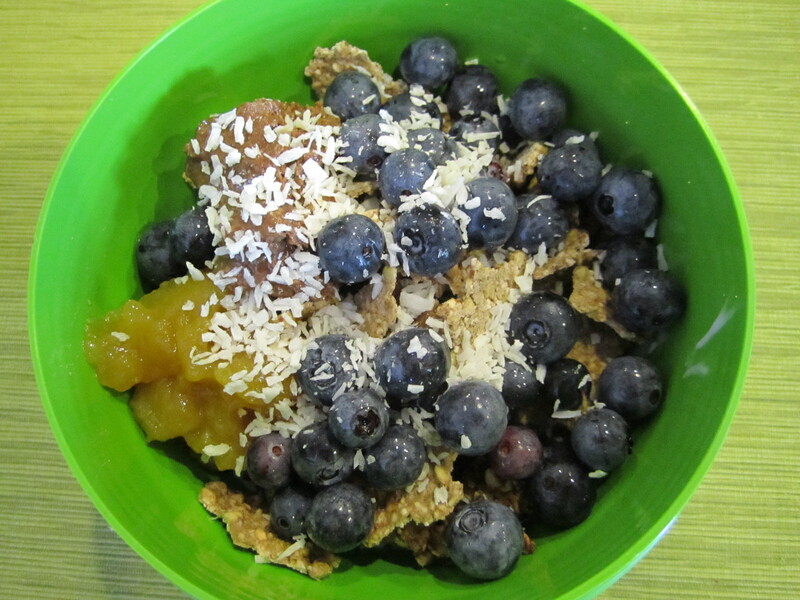 For breakfast, I mixed up a yogurt bowl to-go. This was delicious! And, easy to bring with me in my to-go container. Mid-morning, I snacked on some dried pineapple (unsweetened) dipped in peanut butter. Why not?! 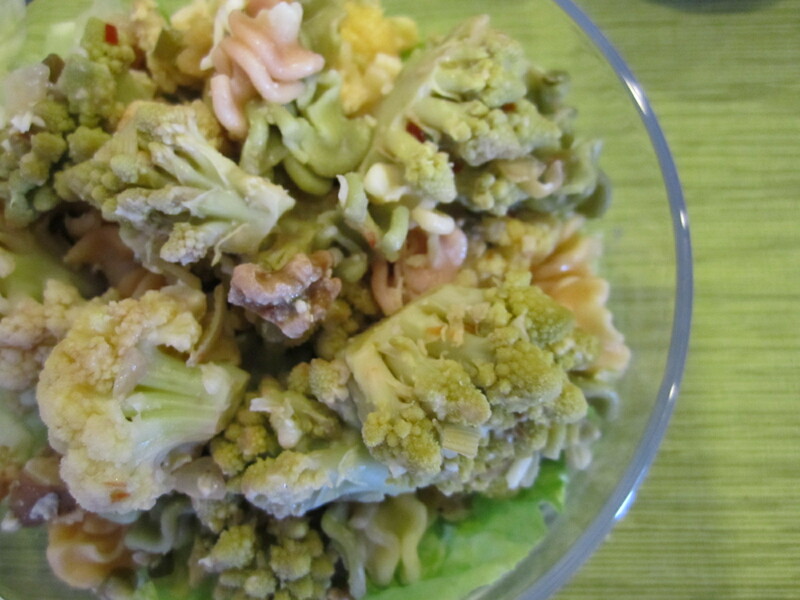 I feasted on leftover pasta with romanesco from last night. Served over a bed of lettuce, this was great cold. 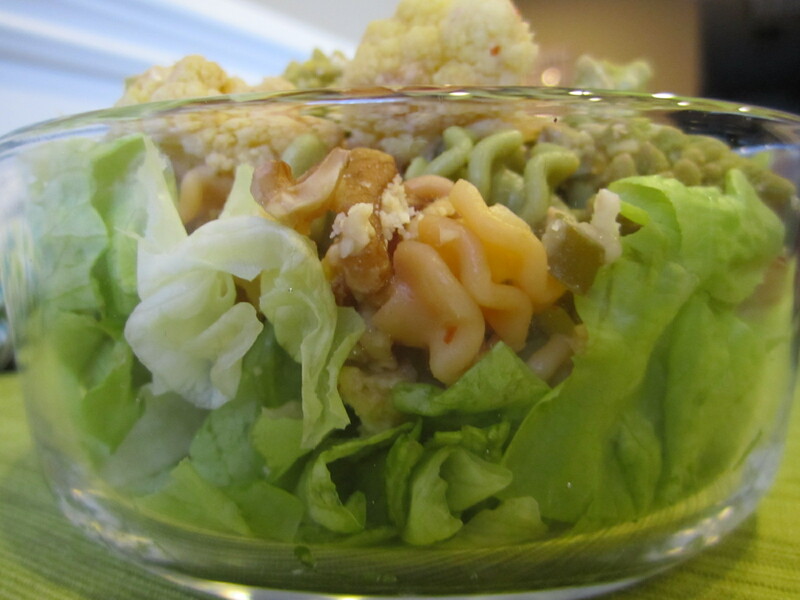 This pasta dish is really good – give it a try!! 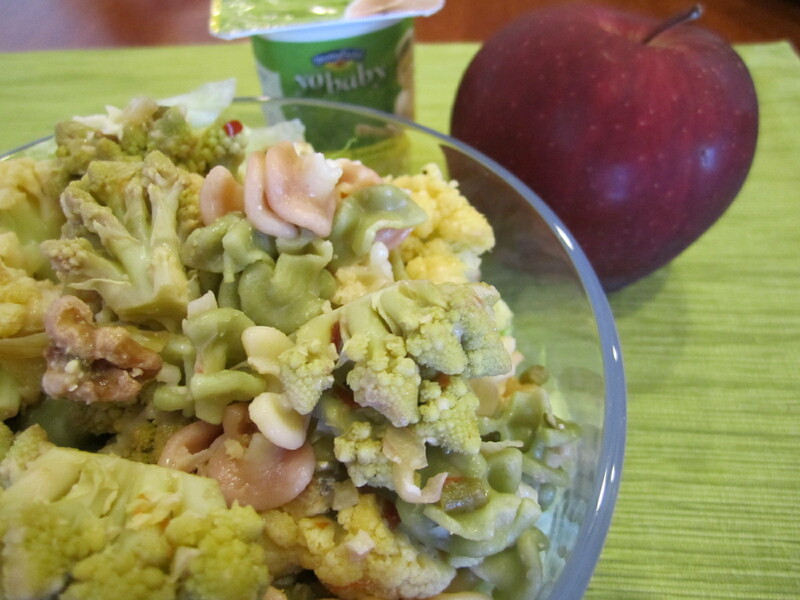 And, a yogurt and apple. 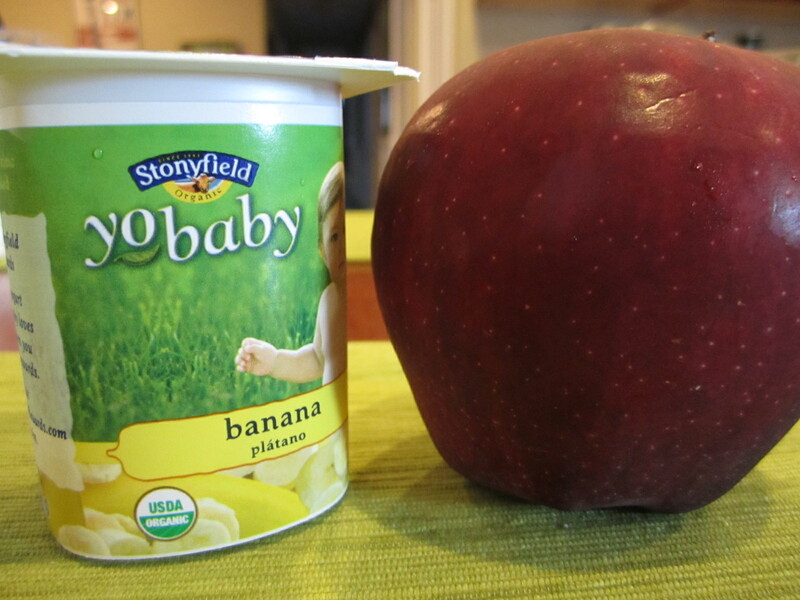 Yes, that is a YoBaby yogurt from Stonyfield…I heard some good things from a few bloggers about the YoBaby yogurt and wanted to give it a try. Plus, the banana flavor is made with milk and real banana puree! It was yummy. Each container of YoBaby banana contains 110 calories (for 4 oz due to the whole milk used), 4 grams of fat and 4 grams of protein. 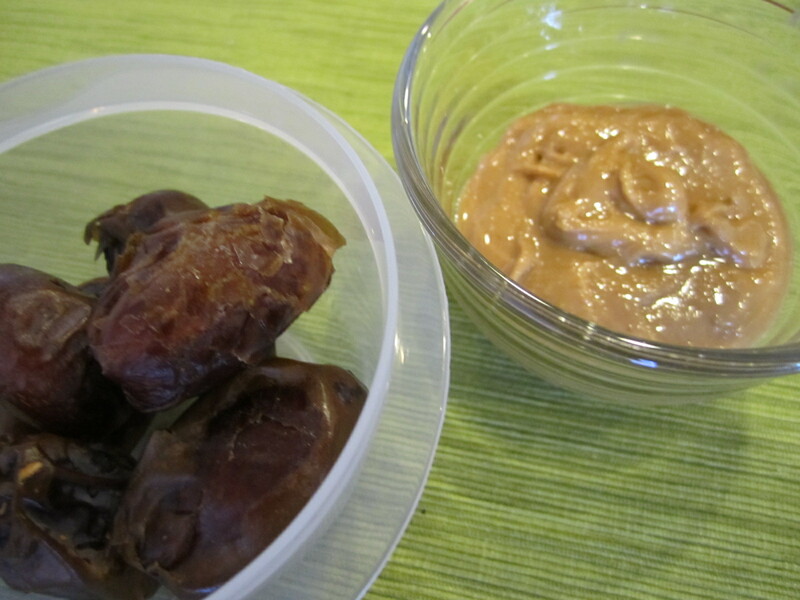 Mid-afternoon, I snacked on medjool dates with peanut butter. I love peanut butter! But, I wasn’t done there. I also dipped some pretzels in the peanut butter and had a granola bar…bottomless pit! 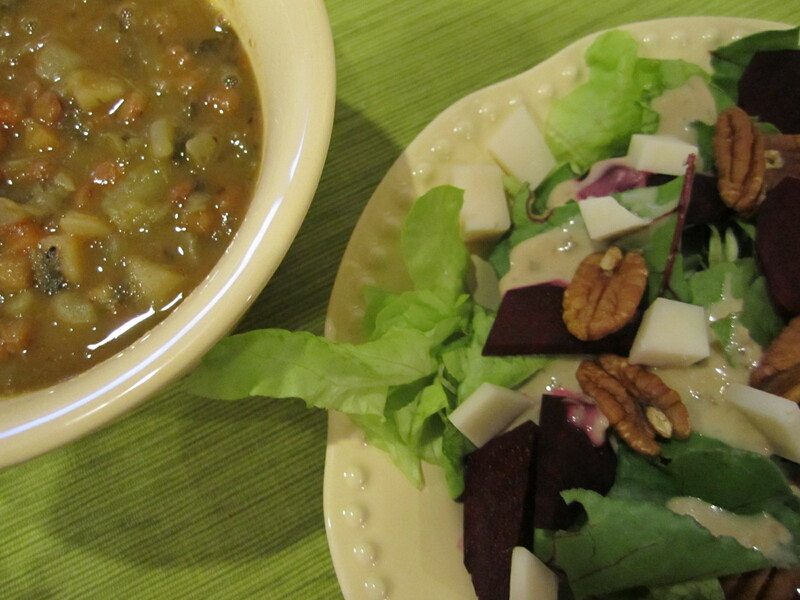 Of course, due to all of my snacks, I was not very hungry for dinner, but I knew that I needed some veggies, so I made up a salad and heated up some soup. 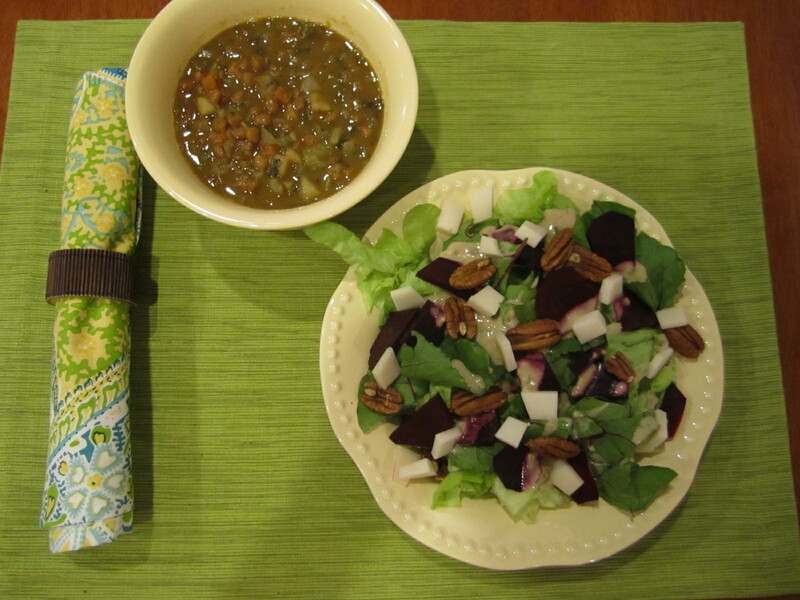 Salad with green leaf lettuce, beet greens (so good! 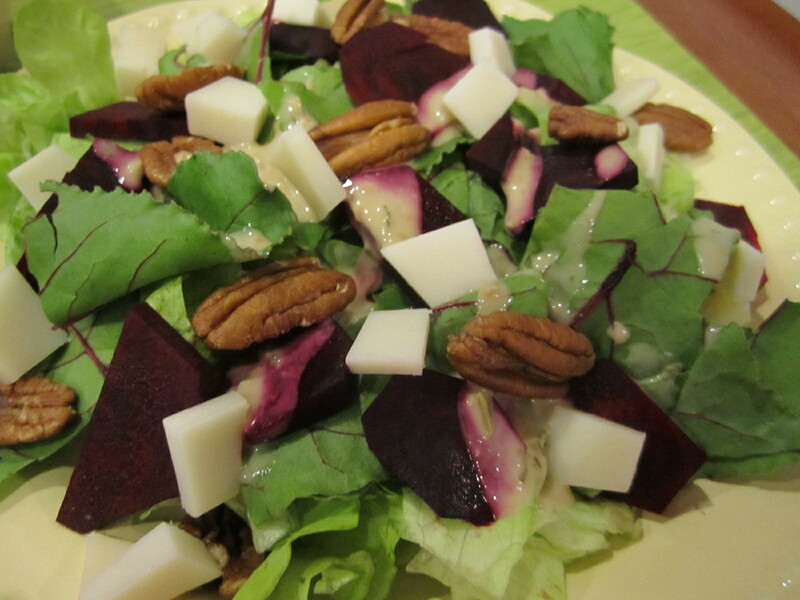 ), beets, toasted pecans, goat gouda and goddess dressing. I rarely buy dressing at the store, but so many people have talked about Annie’s Goddess dressing, that when I spotted it in the store I needed to buy it. I couldn’t put it down! Ha. Luckily, it has very minimal ingredients and tastes great! 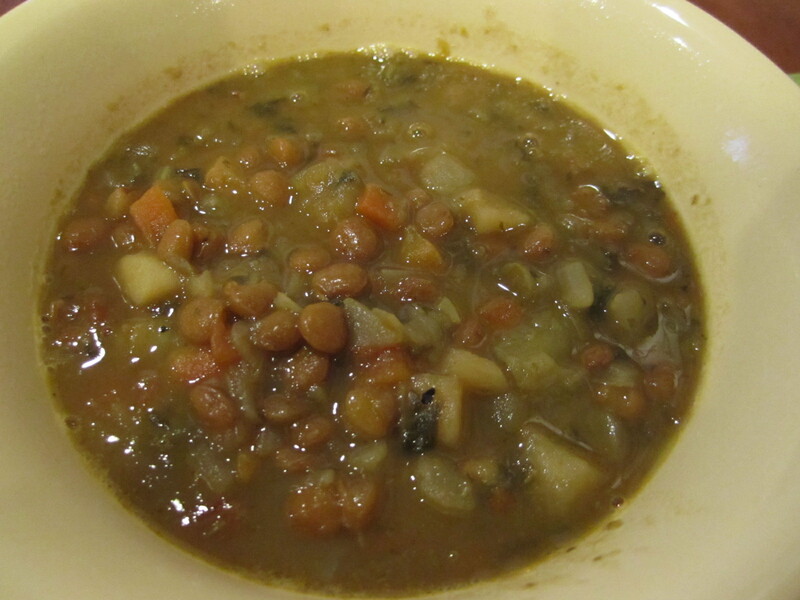 I also had a bowl of Amy’s Lentil Vegetable Soup. It was just okay. The flavors were good, but the lentils and vegetables were super mushy. I ate about half before feeling full! All in all, a good quick dinner. I received my order of GloBars today from Angela and I can’t wait to try them out. I ordered the variety pack and raw bars. They look awesome. Thanks, Angela!! I think some ice cream is in store for tonight. 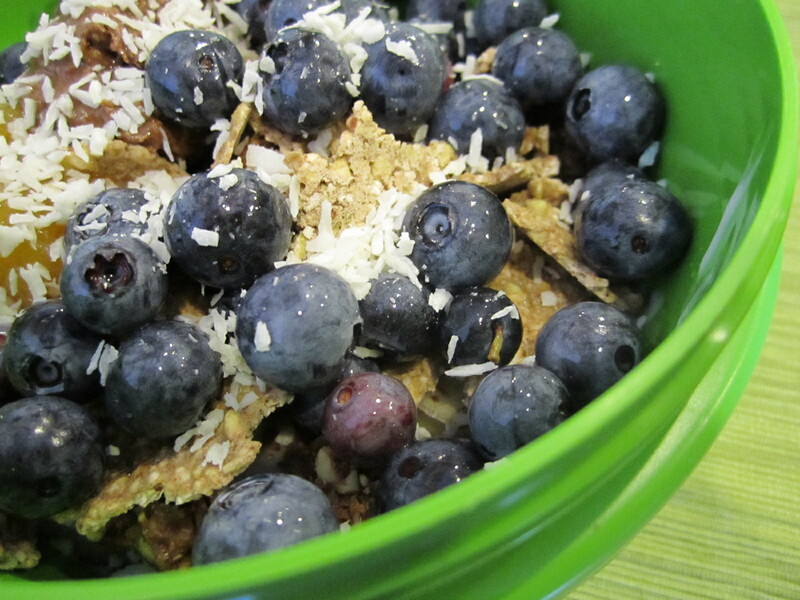 I picked up Stonyfield’s Java at the store today – my favorite!! Our family is a big fan of Yo-Baby as well!